Batuan Temple Bali is one of the ancient temple in Bali island . The temple where we worship a God on his manifestation as Brahma , Wisnu and Siva . 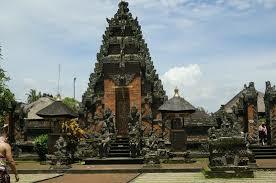 In Bali island known as Tree Murti and the temple also known as kahyangan Desa . 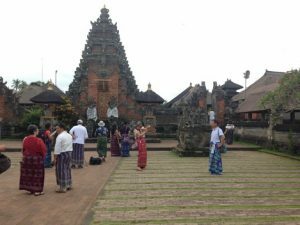 Pura is one of the important place to worship God for all Hinduism in Bali island . 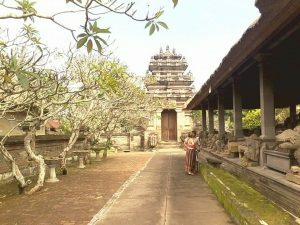 Bali Island which is still keeping Hindu religion as the main concept of living . Balinese peoples which is Hindu majority are very consistent maintain the culture and tradition . 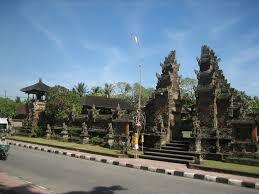 This way make Pura or Temple is very important place for all Balinese ritual to worship the God . Every temple ceremony will accompany by many even such as dance performance also during the preparation will involve all the villagers . 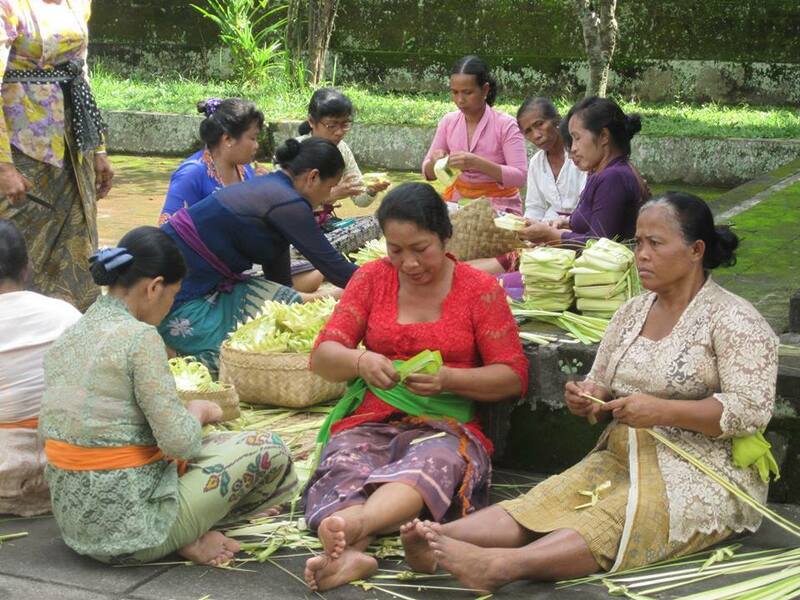 This is kind of social interaction among our Balinese peoples . Even though the modernization are coming and cant stop the flow but the peoples of balinese still strongly keeping the culture and tradition . With the the modernization and tourism industry in Bali we still able to keeping the harmonization . The temple that only use for offering and local peoples even in the past also become a tourists sites . Of course the visitors have to respect the customs and tradition if the would like to enter the temple . The rituals , local social even and tourism business go hand in hand without harming each other . 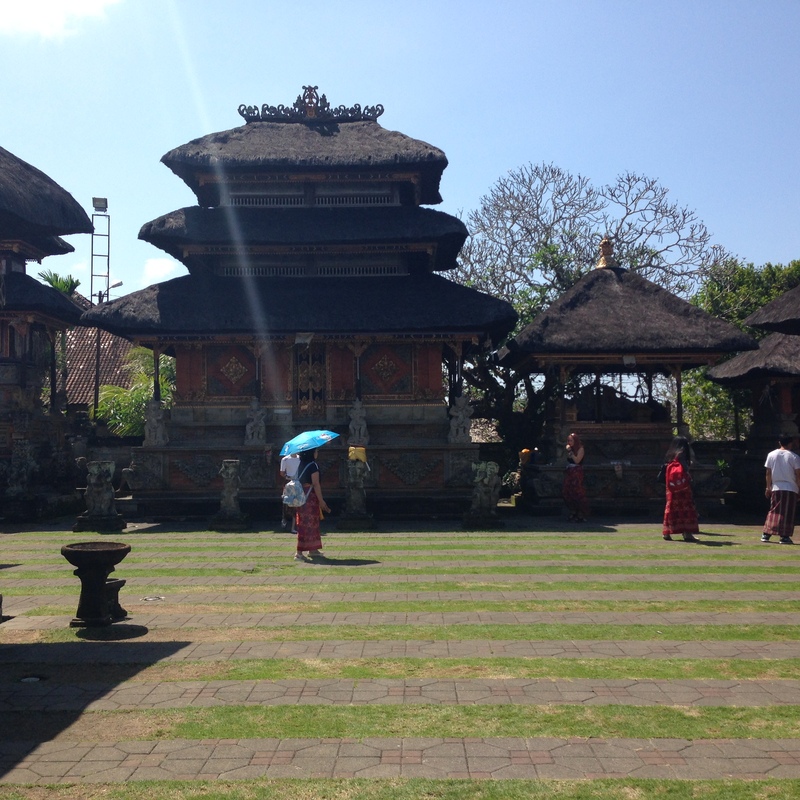 The view of this harmonization we can see in each temple sites in Bali , especially Batuan Temple Bali . 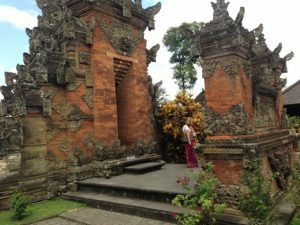 This article will specifically introduce the Batuan Temple Bali through my article . Isn’t perfect one because my English is not my native language but wish you enjoy reading it . 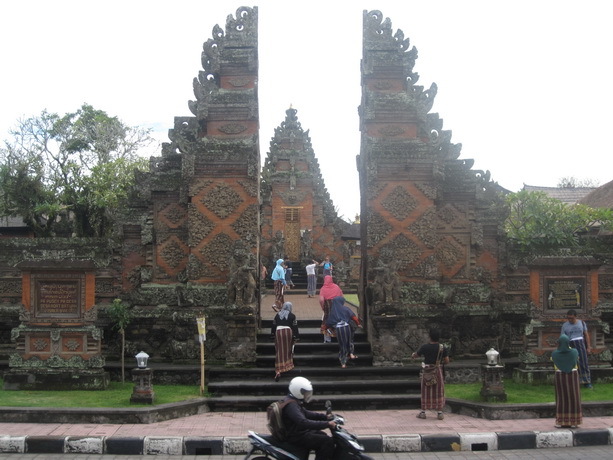 Batuan Temple lies in a very strategic location . On the main road to connect to Ubud village area , the famous tourist village in bali island . About 16 km from Denpasar and that we can reach about 40 minutes to one hours depending on the traffic . The temple location is in Banjar Tengah ( Banjar is a local community organization ) , Batuan Village , Sukawati District . 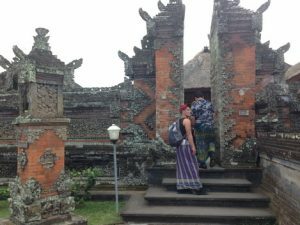 Batuan village is also known as the center of art painting village , one of the old village in Bali . Beside that Batuan village is noted as a village of unique painting style , this Batuan style painting developing since 1930 and has become the icon of the village . 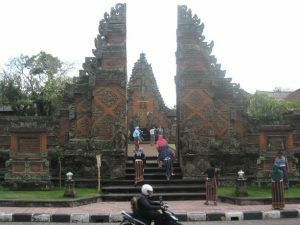 Batuan temple built around 11 century during the King Sri Aji Dharmawangsa Wardana from Warmadewa Dynasty . Warmadewa Dynasty is the Hindu Kindom Dynasty who rule over Indonesia archipelago in a century back . They found in some inscription that the temple build in a year of 944 Caka ( 10 20 ) . We can see some of the ancient statue that they keep in one side of the temple as in one archeology building . 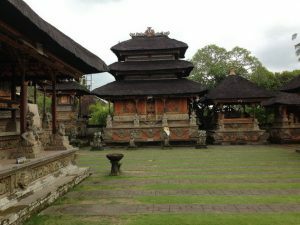 As another temple architecture , Batuan temple is divided by three different area . Outer yard , middle yard and inner yard of the Temple . To enter the temple we will pass a giant gate and another gate to enter the main temple area . Here we allowed to enter to the main yard of the temple , where there are a lots shrines with very beautiful sculpture design . Outside the temple area by the parking area there are big open building that we call Wantilan . This building is use for any social even such as Balinese dance performance during the temple ceremony and also meeting hall for the villagers .